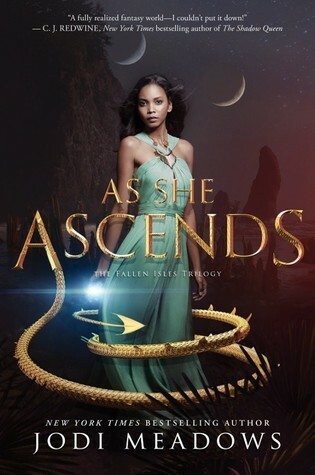 Only one more week until As She Ascends is out in the world!! I was so excited when I was asked if I’d like to be a part of this tour! I thought there was no better way to support the lovely Jodi Meadows! My sweet friend Katherine over at SmadasBookSmack was kind enough to host a really fun Readalong of Before She Ignites in preparation of the tour! A huge Thank You to Sarah The YA Book Traveler for putting this tour together and doing the amazing graphics for the tour and for our Readalong! Below you will see a How to Guide to hosting a Readalong like the one we did, as well as discussion questions posed to the group throughout the reading process! It was so much fun getting to know the group of people that participated! Keep an eye out because we may go another Readalong for As She Ascends this coming winter! Create a DM group on the platform of your choosing and add participants! Post “bookstagram” style photos on the #hashtag, share with the group, and have everyone share it to spread the word! Pose questions and allow enough time for everyone to answer if they’d like. Thank everyone for participating in the discussion! Repeat steps 12-14 throughout the Read-a-long based on the schedule. Q1. What did you think of how the story is told, with the present and flashback? Q2. Do you like fantasy that drops you into the middle of the action with no backstory like this or do you like info dumps at the beginning? Q3. We get to meet two other prisoners, Gerel and Aaru, what do you think of them? Q4. What do you think Altan’s intentions are with the information he is trying to get from Mira? Q5. Do you think her family is working on getting her out or do you think they were aware of what was happening with the dragons? Q6. What do we think about Mira and what she is capable of? Q1. Do you think living and appreciating silence makes Aaru more sensitive to others? Does it make his words more important since he says less? Q2. Do you think anxiety is still as taboo to bring up in society as it is in Mira’s world? Q3. Do you think being born in a different region predisposes you to that regions traits or do you think you are born to that region because you have those traits? Q4. Tirta stays so the to her beliefs of kindness and friendship when others crack, how do you think she does that? Q5. What do you think of Mira’s new name Mira the dragonhearted? Q1. What did you think when you found out Tirta was undercover for the Luminary Council? Q2. What do you think was the reason for cutting Mira’s face? Q3. Were you surprised by Mira’s speech or did you suspect she would change it? Q4. What did you think of Mira’s powers? Especially what she did to the Pit? Q5. What did you think of Mira’s character arc from the beginning of the book to the end? Q6. Do you think Aaru is hiding something from Mira at the end of the book? Q7. What do you predict or want to see in the next book?